Blue Dot Pools supports the ADA (Americans with Disabilities Act) requirements for public accommodations to provide goods and services to people with disabilities on an equal basis with the rest of the general public. 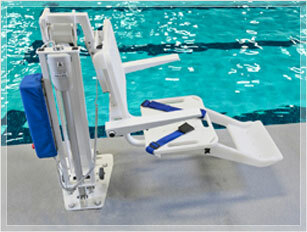 We believe that access to aquatic environments is vitally important for both mobility challenged individuals and seniors. 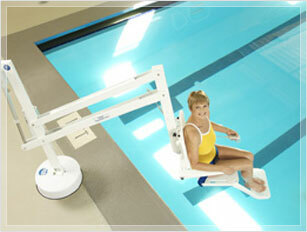 A pool provides the optimal setting for low impact exercise or therapy. 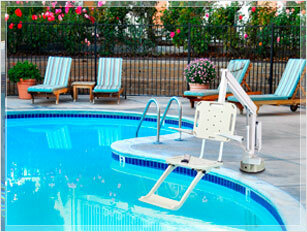 As our society ages the mobility challenged population increases, as does the need for safe and accessible pools. 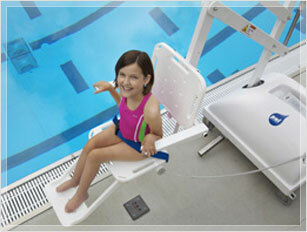 Our Goal: is to help you identify the accessibility requirements and provide solutions for your swimming pool to meet your obligations under the ADA. Feel free to contact us should you have questions or would like a free property evaluation.